Do you have a question about Saga Car Insurance? Here are some questions we are frequently asked about our car insurance. Am I covered to drive in the EU? If you are travelling to one of the countries we cover as standard (please see below) in the next few days/weeks, please call us on 0800 056 1472 and one of our customer service advisers will be able to issue a new version of the Green Card, covering all the countries listed, up until your next renewal date. If you need a Green Card for any other country e.g. Turkey, Tunisia or Morocco please call us and we may be able to provide one for the dates you are travelling. Please be aware that Green Cards can't be emailed due to the strict formatting requirements so will be received in the post two weeks from the request. Please visit GOV.UK to find out more about traveling abroad. Please click here for a list of countries that we provide cover for driving in. What is your 3-year Price Promise? We now offer a 3-year Price Promise on our Car Insurance cover level. This means we’ll fix this year’s price for the next two renewals, so if you choose to stay next year and you haven’t made any changes, your price will be the same. View terms and conditions and find out more about our 3-year Price Promise. You are covered to drive other cars not owned or insured by you or your spouse/partner, on a third-party basis, provided you have the owner’s permission and the vehicle has insurance in its own right. Do I need to make you aware if I have had a conviction? Yes. If you or anyone else named on the policy has had any motoring convictions in the last five years, this will need to be recorded on your policy. You will need to provide the date of the conviction and the conviction code, which can be obtained from the DVLA website. Do Saga cover classic cars/imported vehicles? Whilst we do not offer a specific classic car policy with an agreed value, we do not have a vehicle age limit and may be able to insure a classic car under our normal policy terms. If you have any questions about insuring an imported or classic car, please call us on 0800 302 9735 and one of our Customer Service advisers will be happy to help. Do you need to know about my health/issue medical condition? We do not need to know about any health issue or medical condition as long as the DVLA have not restricted or removed your licence. Does Saga offer temporary cover? Yes, subject to acceptance criteria. You can add a temporary driver or vehicle to your policy for up to a total of 28 days. The additional vehicle must be legally owned. Additional drivers can also be added on a permanent basis if this is more suitable. Please give us a call on 0800 302 9735 and one of our Customer Service advisers will be happy to help. How do I note down my voluntary work? Voluntary work is covered as standard as long as you receive no financial gain and it is voluntary. Please contact one of our Customer Services advisers if you wish to discuss this further on 0800 302 9735 and they will be happy to help. Is my windscreen covered and do I have to pay an excess? If you have a Comprehensive policy, windscreen cover is included and will not affect your NCD. This means that if you use one of our approved repairers and they can repair your windscreen there will be no charge. Please call 0800 302 9735 and we will help you arrange a repair. If you choose to use an alternative repairer, there will be a £25 excess. If your windscreen needs replacing, you will have to pay a £75 excess if you use an approved repairer. If you choose to use an alternative repairer, you will have to pay an excess of £75; after which, we will only cover you up to a maximum of £100 for the repair. Please call us on 0800 092 3304 and one of our Customer Service advisers will be happy to help. Panoramic sunroofs are not covered under glass claims so please call us on 0800 001 5424 for assistance. Will I be covered for vandalism? Our Comprehensive policies include cover for vandalism as standard, which means if you make a claim under vandalism damage it will not affect your NCD. Will I be covered if I am hit by an uninsured driver? Our Comprehensive policies include cover against uninsured drivers as standard. This means that if an uninsured driver hits your car, through no fault of yours, as long as you supply their vehicle registration and the accident details we’ll refund any excess paid and your NCD won’t be affected. No Claim Discount (NCD) is earned by the policyholder on each individual vehicle that is insured under a policy. One years' NCD is earned for each year you hold a policy without making a fault claim, in accordance with our current NCD scale. What documents would I have to submit as proof of my NCD and how can I prove this? If you have provided the details of your previous insurer, we will attempt to contact them to confirm your entitlement to a No Claim Discount (NCD). Please be aware that not all insurers will validate NCD over the phone. If we cannot confirm your NCD, we will write to you asking for written proof. Written proof must clearly show names and dates. Saga Services Limites, NCD Validation, Middelburg Square, Folkestone, Kent CT20 1AZ. You can contact our Customer Service team for further information on 0800 302 9735. How do I protect my NCD? If you are eligible, Protected No Claim Discount cover is included as standard. To be eligible you must have four or more years' NCD, even if you have had a fault claim in the last three years. Your No Claim Discount will only be reduced if you have more than two 'fault' claims in three consecutive years of insurance. Do my years spent driving a company car count towards NCD? If you have had the sole personal use of a company car (e.g. have had a car reserved for your own use both for work and for pleasure purposes) but have lost it due to retirement, change in position or due to changes in taxation laws, you will be allowed NCD in accordance with the number of claim free years immediately before the start date of your motor insurance policy. If this affects you please call us and speak to one of our Customer Service advisers on 0800 302 9735. How long is No Claim Discount valid for? Your NCD will be valid for two years after the end of your last policy, provided it is not being used on another policy. Can I use No Claim Discount earned outside the UK? Evidence received from any European Union member country is acceptable. No Claim Discount earned in any other country outside of the EU will only be considered if the insurer concerned is a branch of an established UK insurance company. You can get a quote online or alternatively call one of our friendly advisers on 0800 092 3195. How do I change or retrieve a saved quote? If you got a quote online you can retrieve and make changes to your saved quote through MySaga or alternatively you can call one of our advisers on 0800 092 3195. How can I pay for my car insurance? Our monthly or annual premiums can be paid by Direct Debit, subject to a credit check. In addition, annual premiums can be paid by debit or credit card, or by cheque, which incurs an additional £3 charge. Once I've purchased car insurance how can I get my policy documents? We automatically send an email with a link to your documents so that you can review and download them at any time. They will be added to your MySaga account within 24 hours. If you would prefer your documents to be sent out to you in the post, you should receive them within three to six working days. Does Saga offer insurance for less than 12 months? No. All our Saga policies are for 12 months. However, we do offer temporary cover for both vehicles and drivers which can be added to an existing policy. Call us on 0800 302 9735 to find out more. Who is Saga Car Insurance underwritten by? Saga's range of insurance products is designed specifically for our customers and is unique to us. Saga Car Insurance is provided by a number of insurers who all meet our high standards of quality and service. If you need to cancel your policy, please contact us on 0800 056 9167 or write to us at Saga Services Limited, Middelburg Square, Folkestone, Kent CT20 1AZ. A £50 cancellation charge may be applied if you cancel midway through your policy term (reduced to £5 if cancelling within the first 20 days). The arrangement fee is non-refundable if your cover has already started, and if you have added Legal Protection to your policy, this will be non-refundable outside of the 14-day cooling off period. It is important that you tell us immediately of any changes that occur since the insurance started or since the last renewal date. If you do not it is possible that a claim will not be covered. Some changes may require you to pay an administration fee of £25. If you are in any doubt whether a change needs to be advised, please contact our Customer Service team on 0800 056 9173. You will be sent a renewal invite at least 21 days before your renewal date. You can renew your policy by calling us on 0800 056 9169. If you pay by Direct Debit, or set up a continuous payment when you took out your policy, we will automatically renew it for you. Where the vehicle is kept overnight. You will also need to confirm the level of cover required and that the annual mileage is appropriate for your everyday needs. If you have Saga Breakdown Assistance, we’ll update this too so this can be applied to the new vehicle. If you change your vehicle, there will be an administration charge of £25. The change may also affect the cost of your insurance for the remaining time of your policy so an additional premium may become due. Confirmation that cover level and mileage is still adequate. If you change your vehicle, there will be an administration charge of £25. At Saga, we strive to ensure that our customers are treated fairly. If you are dissatisfied with a service or product we have provided, we will take your concerns very seriously. It is therefore important to us that our process for handling your concerns is clear and transparent and that you are kept fully aware of how your complaint is progressing. If you wish to make or enquire about a claim please see our how to make a claim section for further information. Alternatively, you can refer to your policy book. Will you use official parts/repairers in the event of a claim? If the vehicle needs to be repaired our insurers have a nationwide network of partnership repairers. Partnership repairers ensure a high standard of service and provide high quality repair work, with a five year warranty. Their quality is constantly under review by our own team of engineers. However, if the vehicle is three years old or more and is outside the manufacturer’s warranty period, we may decide to fit replacement parts which have not been made by the car’s manufacturer but are considered of a similar standard. 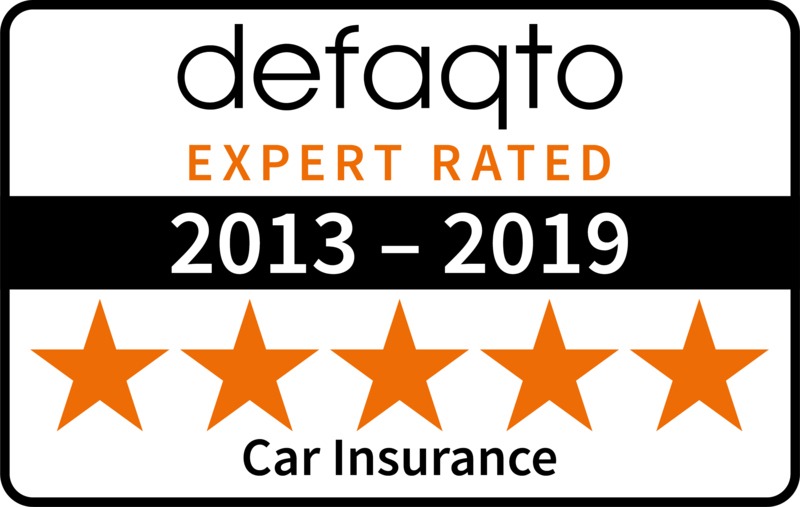 Will I get a courtesy car while my car is being repaired? You will get a courtesy car as standard if your car is being repaired by an approved repairer following an accident within the UK. The replacement car extension add on will provide you with a replacement car if yours is stolen or written off – keeping you mobile and giving you time to find and purchase a new vehicle.